The Big Picture: Secrets of S.H.I.E.L.D. If it is Luke Cage I'm just disappointed they didn't hire Old Spice Guy to play him. Aww man, I love hearing about all these comic book characters and potential for new movies in the Marvel Cinematic Universe! I recognise most of the heroes that made onto the list except for Maxam, Blue Marvel and the Patriot fathers before him). As for me I betting on Rage and Luke Cage. I think the reason behind Coulson's survival is pretty simple...Fury just kinda trolled them. A lie within a lie basically. We knew he lied about the cards, but I guess he also lied about the death of Coulson too. "We only saw him do this...hrrrk...guhhhh........that doesn't mean a person is dead." And yeah, it is intriguing to see who this is going to be. I agree at first glance I did just assume Luke Cage, and I'm still standing by that, but I suppose I could see it being one of the other characters closer to the bottom of the list. I don't think that there is a chance of Josiah X unless they radically rewrite him. Sad to say, but no way in hell is a network going to have a superhero who is both black and Muslim as the star. If it is Nick Cage I'm just disappointed they didn't hire Old Spike Guy to play him. LUKE Cage, not Nick Cage. That would be... different. My money is on Luke Cage. He makes perfect sense and as a go to for most a lot of story arcs that included him before he was an actual member of the Avengers. Damn, Bob! Major speed run on this speculation list. Sadly, Luke Cage would have to be dropped since Whedon had said that the mystery man isn't Luke Cage. But the rest of the list is a good selection of possible candidates. As for my pick, I'd have to go with either Rage of the second Power Man but don't quote me. The best piece of evidence we've got is a brief shot of our hero's arm at 2:14 on the full trailer. If anyone has a theory they want to test, please speak up. I remember Isaiah Mustafa making a fan promo pitch to Marvel for Luke Cage. I'm curious now too. The second I saw this I immediately thought Luke Cage and I still do. Luke would be really interesting to see. I am utterly disappointed this has nothing to do with Nvidia's Project Shield. Someone above me said that Joss said that Luke Cage isn't the guy, but then again, JJ Abrams definitively said Cumberbatch's character wasn't Khan, and Chris Nolan said Talia Ah Ghul wouldn't be in Dark Knight 3, soooo... (Which would annoy the piss out of me; be obscure all you want but don't lie to my face). My money's on Cage, with maybe a little on Rage, and then "new character" all the way. The others are just too obscure and useless or would ravage the rich histories of the characters to put them in that position (Man, could you see Black Panther saving people in civvies and not already knowing what SHIELD is? Would be a terrible disservice to his history). Hum shield gets their own show? Here's hoping it good. I am kind of disappointed coulson is still alive since I was really hoping they weren't going to do that, but it is based on comic books so really who's surprised. My money is on luke cage, but if that's true it'll be boring, I wish they bring in someone new that's not in the comics with their own stories. Whoa, Falcon didn't make the list at all? Granted, "super strength" isn't one of his given abilities (but then neither is it one of Black Panther's) but if a Captain America-connection is all that is needed to make the list, I'm surprised the Falcon's name hasn't been passed around - especially given he's (arguably) mainstream comics' first African-American superhero. It's not Luke Cage, according to someone working on the show (don't remember who, exactly). I'm hoping for Rage. Rage was entertaining the the Initiative. I'm just excited because it's a new Joss Whedon show. I also want to see some of his circle of actors appearing in it. Sarah Michele Gellar as a SHIELD agent/Carol Danes anyone? But yeah! Probably Luke Cage. Luke Cage was my first thought when I saw him in the trailer. I'm really interested in seeing which characters they bring into this show, it should be interesting. Not sure I like how they resurrected Coulson though. My money is on Luke Cage. About 2 years ago the Old Spice guy was suppose to be a potential actor for a Luke Cage movie but I guess it got scrapped. Falcon is already confirmed as being in the next Captain America film. Whedon could be lying, you know. He does that. Nick Fury's black in the Ultimate comic line and to top it off, he was depicted as looking like Jackson with his permission. I don't think that it will be Cage because of the thing on his arm, making Rage my top pick and Cage being second only due to name recognition. Since Daredevil defaulted back to Marvel they may hold onto him until they can do a Iron Fist, Luke Cage, and Daredevil story arch, which would have to wait until Phase 3 if they want to do a movie series or until Agents of SHIELD runs a season or two before getting a TV show. Blade the Vampire Hunter≠Eric Draven. Blade's real name is Eric Brooks. Eric Draven was the lead in The Crow. Just, you know ... for the record. It could be another character from the Marvel Universe that is not black in the comics. After all, Idris Elba did play Heimdall. Same thought at the same time. Although I wouldn't say white dude turned black. Just a black actor who happens to play a character that was white in the comics. I don't think that it will be Cage because of the thing on his arm. Given that it's accompanied by Coulsons' voice saying "We're not the only ones interested in those who have powers", it could be something to do with the series main enemy. Meaning that it still could be Luke Cage. It certainly doesn't look "heroic". 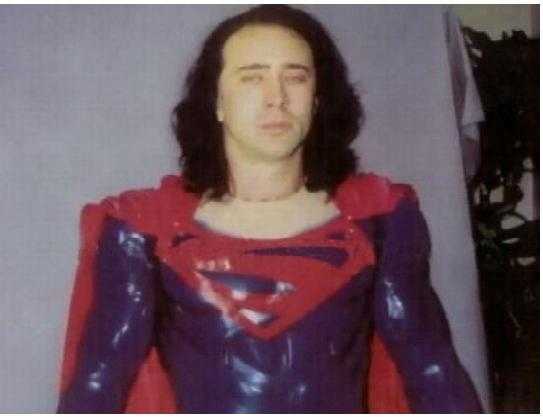 Its proberly Cage, I don't read super hero comics and even I know who Cage is. I hope its not Luke Cage, because I want to see Old Spice Guy as Luke Cage. I doubt it will be one of the bradleys, or atleast if it IS one of them they will quietly drop the muslim connection into the marianas trench. In an interview for IGN Jeffery Bell confirmed that it was not Luke Cage, may have possibly slipped that the first letter in the guy's name is "M", and also said some things about colorblind casting. Honestly, we were looking for this part, and we just said, look, all our parts are open to all diversity. So the fact that we have a black dude who is awesome and it's J, was just because he was the best actor. It wasn't like, "You know who...!" While Marvel reps have flat-out lied in the past, particularly when a mystery is guessed right out of the gate, my money is actually on Moon Knight. No, he's never been portrayed as a black man, but neither was Nick Fury before the Ultimates and neither was Heimdall before "Thor". Also, it would make the hoodie a clever costume choice. Still, it would mean they changed a lot of his backstory and gave him powers right from the beginning, so it might be a bit of a stretch, but I like banking on the long-shot. Same here, as someone who never really reads coomic books getting some insight into the characters of one of the biggest TV/Movie thing going on at the moment is very interesting.